It is a very nice and quiet hostel. The stuff is very friendly. 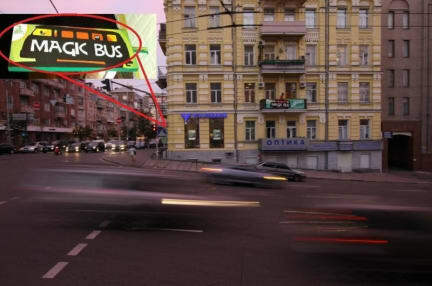 If you want a chilly place in Kiev this is a good place to go. 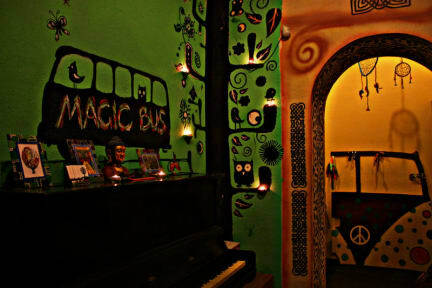 I really enjoyed staying at Magic Bus Kiev :-) This is a hostel with frindly and openminded atmosphere. The staff is really kind and extremly helpful. The location is very central. Major touristic sites are all in walkable distance. Hostel is clean and comfortable. Liked staying there and would always go back there :-) The host stood up at 5 in the morning just to call a taxi for me :-) so kind!!! I t eas a nice experience , ok they judt renovated so the entrance didn’t open electronically , but the stuff was very nice and chilled . I never been in such a quiete place . It was fully booked , but you couldn’t feel it . The only disadvantage only one toilet with a sink and mirror. But we all managed very well ! I would definetly come again . Positive: Good location, low price, guests are travellers Could be better: Hygiene is poor, toilet and shower smelly and sticky. The dorm has not been vacuumed in quite some time apparently, I found fingernails by my bed, hairs everywhere. Towels and bedsheets smelled like dirty washing machine. The only employee did not seem to care about the hostel too much. Very basic experience, don't believe the photos. Nothing magical about this hostel.